Nintendo announced the NES Classic Edition, a new take on one of its most classic consoles, will release on Nov. 11 for $59.99. NES Classic Edition is a smaller version of the Nintendo Entertainment System, the first console released in North America back in 1985. The console will connect to a TV via an HDMI cable. 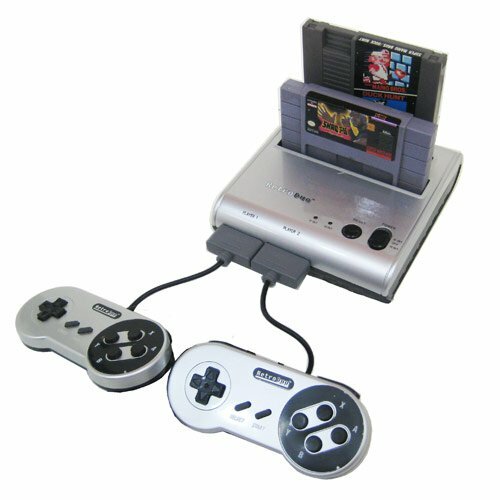 It will include a controller similar in appearance and function to the original NES controller. The controller will also connect to a Wii Remote so players can use it for Virtual Console games on a Wii or Wii U console. Players will be able to able to use save states to resume a game where they left off, rather than having to start fresh or use a password like typical NES games from nearly 30 years ago. 30 games will come pre-installed on the NES Classic. They represent some of Nintendo’s most popular series from the company’s history and classic games from that era. Players can expect the likes of Mega Man, Metroid, Zelda, Mario, and more. Ghosts & Goblins would be fun to play again. I like it and will likely buy one. I want an snes classic too. There's a Genesis classic's console on Amazon. But I already got most of those games when they released them as classics on the ps2. Did anyone get this yet? I didn't think you finished it ever.. so it looks bad cosmetically? Does it look like a high school shop project? I'm picturing something along these lines but not as nice..